Palmetto Dunes is one of Hilton Head’s hidden gems. Recently named No. 3 best resort in the south by Condé Nast Traveler, this gated community boats world-class golf, an award-winning tennis center, and miles of lagoons for family fun water activities. Located mid-island, Palmetto Dunes is close to all of Hilton Head’s finest restaurants, shops, and most importantly, the beach! 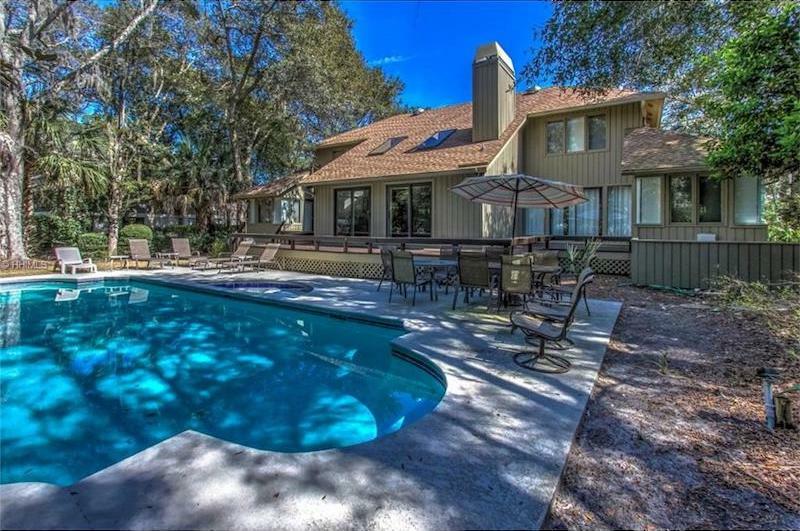 We are proud to present some beautiful properties located in Palmetto Dunes. 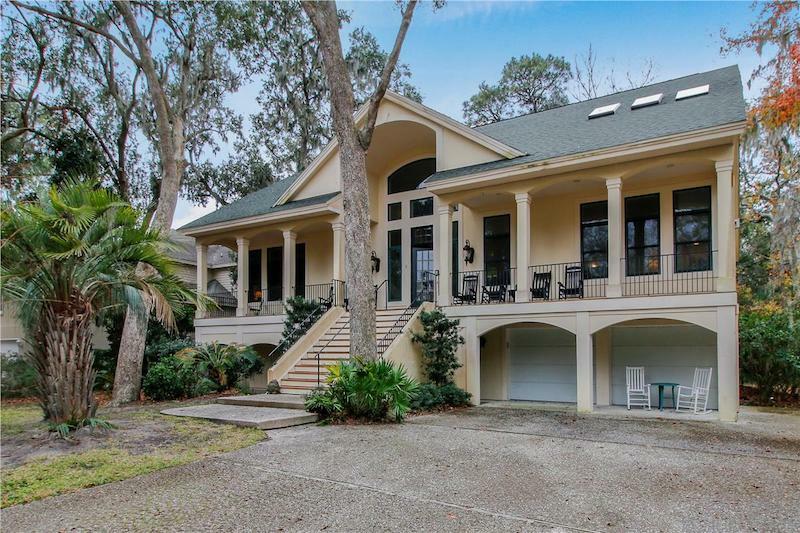 4 Catboat is one of the largest properties in Palmetto Dunes, which sleeps up to 18 people. This property is currently being updated with brand new furniture throughout the entire house. 4 Catboat offers an open concept floor plan with five large bedrooms (each has its own bathroom) and an oversized private pool. If you enjoy being steps from the beach and close to all the amenities that the Palmetto Dunes Oceanfront Resort has to offer, then this is the perfect vacation rental for you. 49 Off Shore is the perfect, private retreat for larger parties. The home is tucked away on a quiet street and features four bedrooms, four bathrooms, and a private pool and hot tub. The property also has a private sitting dock overlooking a large lagoon, which truly makes this home a standout. The beach is a 15 minute walk away, or you can park at Dunes House and be there in less than 10. 8 Beach Villa is a three-bedroom plus loft space with four bathrooms. This beautiful beach villa features breathtaking views of the beach and ocean in your front yard. Take in Atlantic Ocean views from every bedroom, which means you can wake up every morning to a glorious sunrise. You’ll feel right at home on vacation in this welcoming nostalgic beach bungalow. 3 Sutherland Court is an updated six bedroom home just a hop skip and a jump away from the beach! This property offers an open layout and spacious bedrooms, perfect for those large family vacations. 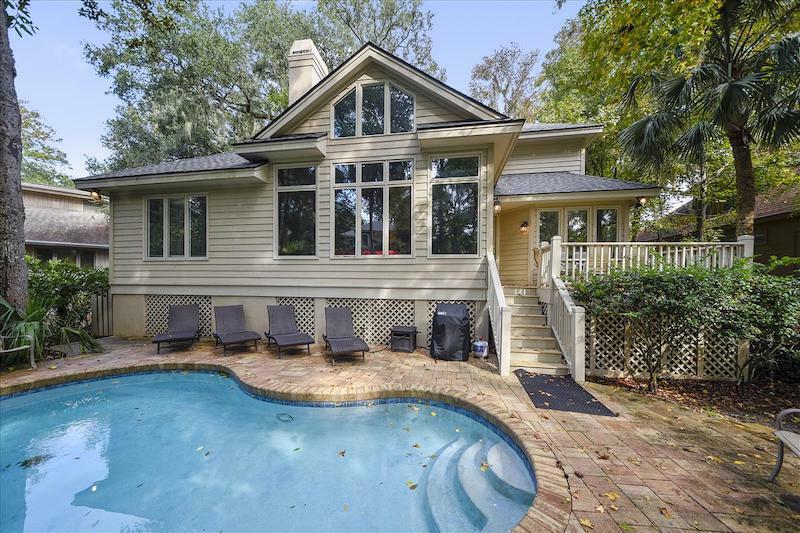 Most importantly, this home features a private pool and a patio with outdoor seating that all ages will enjoy. 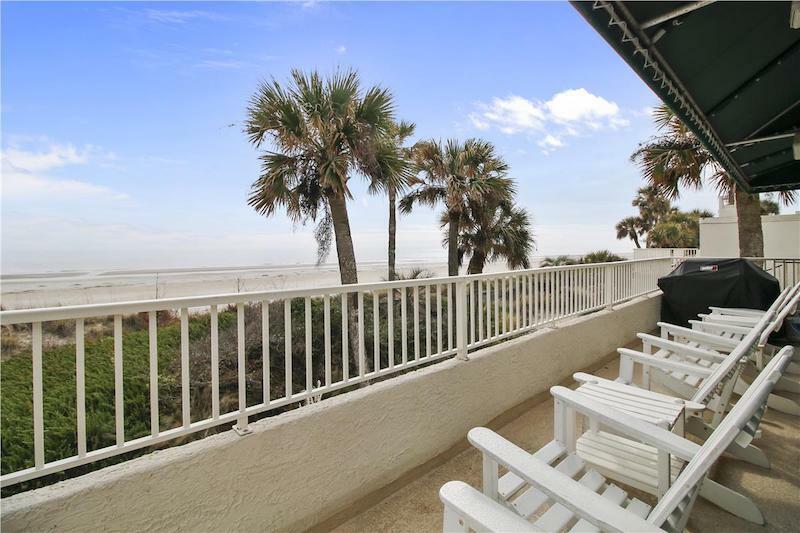 205 Barrington Arms is a stunning three bedroom condo located in the heart of Palmetto Dunes Resort. One of the bedrooms features two twin beds, which is perfect for smaller children. 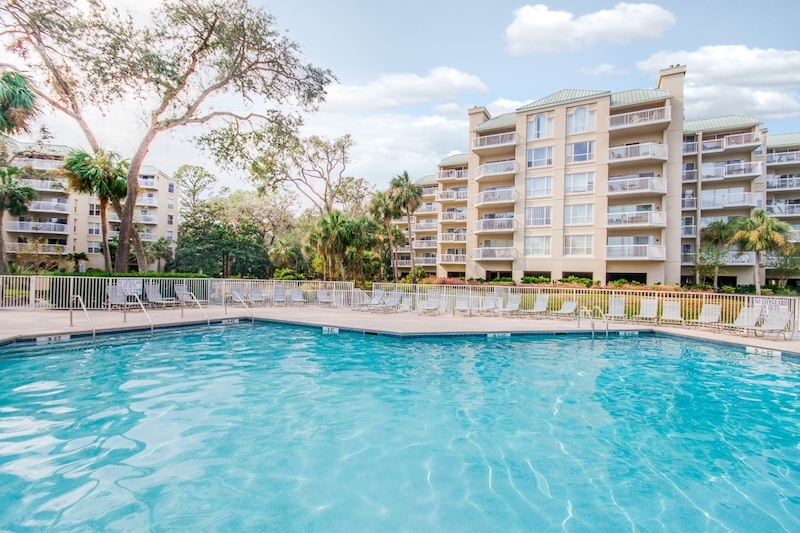 Additionally, the balcony overlooks a large community pool and the ocean. Nothing beats waking up and having breakfast on your own private balcony! 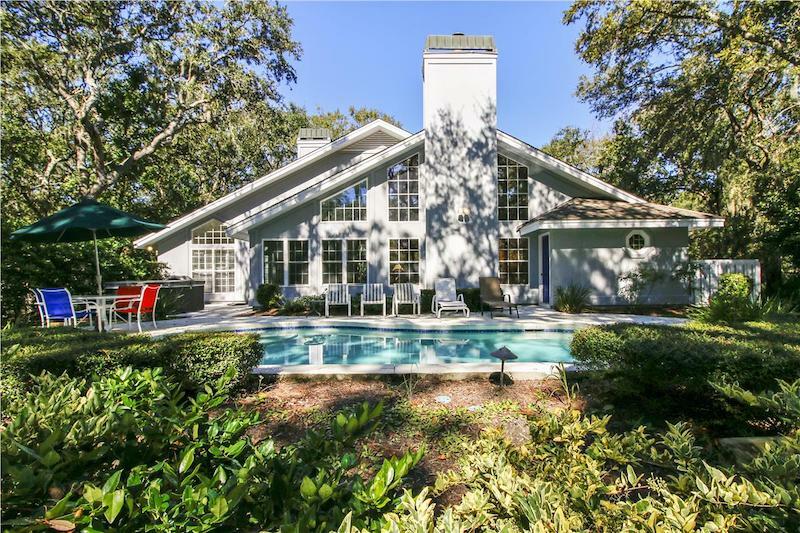 5 Troon Drive is a spacious and attractively decorated five-bedroom home with its own private pool surrounded by lush tropical landscaping. The beach is just a few minutes walk down the road as well. This home is also perfect for larger groups or family vacations. Palmetto Dunes Resort properties are truly one-of-a-kind. Let us help you plan your next trip to Hilton Head Island.